Water sports safety and performance app is ready to grow network of like-minded individuals who love making a splash! 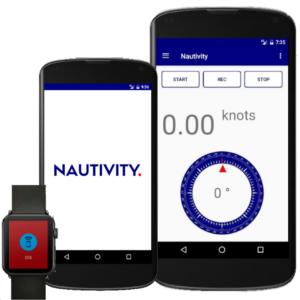 NAUTIVITY., the all in one water sports safety and performance app which gives sea-goers a number of valuable resources at their fingertips, has announced the launch of a social network for fellow users. New NAUTIVITY. users downloading the app, which has revolutionised the offshore experience for many, will now automatically be able to register for the social network, maximising the benefit of the service. It’s expected that as well as discussing uses for the app, members of the network will also have the opportunity to talk about hot topics pertaining to water-based pastimes, and connect with each other to make new friends. Once they have created a sailing profile, NAUTIVITY. users will be able to share their water trips and join hobby groups related to their main interests. They will be able to plot and track their performance with the help and support of others, as well as archive their past trips for informational and nostalgia purposes. It is the latest chapter in the success story of NAUTIVITY., which has been responsible for increasing the enjoyment of those heading out to sea on everything from cruise boats and yachts to speed boats and canoes. The fantastic functionality the app has been lauded for includes an in-built compass for directional reassurance, a speedometer, and the latest weather conditions at sea. It all adds up to an infinitely useful app which can be just as vital to experienced seafarers as it is to beginners. NAUTIVITY. not only provides peace of mind to those in a vessel, it also serves to calm the worries of loved ones on land who are concerned for the welfare of those at sea. Planning and route finding has also been taken to a whole new level of convenience by NAUTIVITY., which allows users to draw their projected routes prior to setting out.